Ok so I have to say as a first novel I was pretty surprised how well written and engaging it was! Plot twists galore, just when you think you have solved the murder, it turns out you are wrong. I loved how this mystery evolved, I had to read it to the end in one sitting, just to find out who had done it! Little Girl Dead was well worth the read, I give it 5 out of 5, for any of you mystery lovers. The characters were very believable and the storyline was great. I loved the ending! 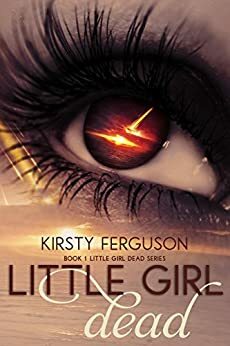 I'm really looking forward to reading Kirsty Ferguson's next book. I couldn't put this down while I tried to figure out who killed Cassie. A must read for those who like "whodunnits" with creepy undertones. Poorly written and lacking in any depth, this book seemed to jump around quite a bit and not really have any context. Good work for trying seeing as it's the author's first novel however I won't be reading anymore. A great read. Such believable characters. Kept me interested & intrigued trying to workout who murdered Cassie. What a twist at the end. Looking forward to the next book. 4.0 out of 5 starsMore twists and turns than a Venetian Marketplace. I found Little Girl Dead an engaging read. The main plot was simple - a Whodunnit told from different characters' points-of-view. A young girl is brutally killed at a birthday party and no one saw it happen. Fingers are pointed, suspects considered and subplots abound, creating more twists and turns than a Ventian Marketplace. A good attempt for a first publication that will keep you guessing.